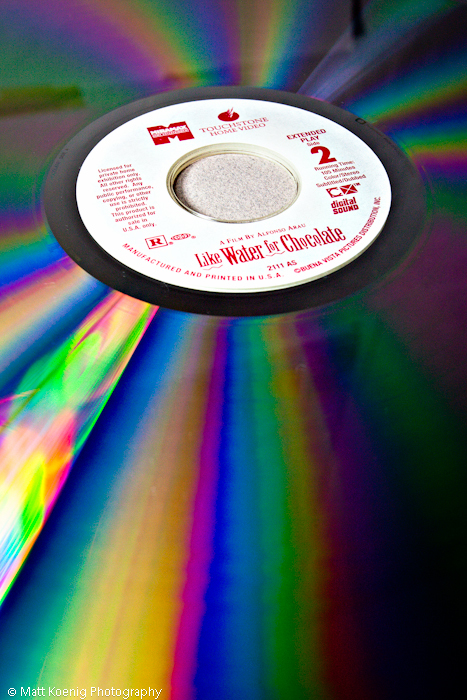 Anyone else remember the laser disk? I never really got this format. It was nothing more than a giant CD. It was like an LP size CD. Usually you had to get up half way through the movie and flip the disk over (unless you had a player that could play both sides). So while looking through my closet I discovered a stack of old laser disks. I also found the player under the bed (good place for it). As I looked at the shiny disk I liked the rainbow that was being made. It made and interesting Day 264 of Project 365.